The first Asian African Conference was held in Bandung on April 24, 1955. Since then the Bandung Conference becomes the popular term for this event. As the history reveals, the end of the World War II became the beginning of the cold war between USA and Russia. The fighting dominance between these 2 countries forced other countries to choose sides. Since many countries from Asian and African continents had not chosen any side and had many unresolved issues under United Nation, leaders from Indonesia, India, Ceylon (Sri Lanka), Burma (Myanmar), and Pakistan decided to organise the first Asian African Conference in 1955. There were 29 countries from Asia and Africa joined the conference. They unanimously stated to become a third block in the world, called Non-Aligned. They agreed on the international ethos called The Spirit of Bandung and declared Dasa Sila Bandung (the Ten Principles of Bandung). In essence, it is a commitment between the members to practice tolerance and to live in peace. Over the years we saw the end of cold war and the downfall of Russian federation, but the Non-Aligned block becomes more important than ever. It is due to the significant PDB of these Asian African countries has (51% of world PDB as of 2014) and two-thirds of world population resided here. Thus, in 2005 we celebrated the 50th anniversary of Asian African Conference. The outcome was to revive The Spirit of Bandung and to create the New Asian African Strategic Partnership (NAASP). It focused on poverty and underdevelopment, which were considered to be major problems in Asia and Africa. The latest Asian African Conference was the 60th commemoration, which was held on April 19-24, 2015. The theme for this conference was "Strengthening South-South Cooperation to Promote World Peace and Prosperity”. The three outcomes of this conference were the Bandung Message, a document to energize NAASP, and a declaration of support to Palestine. Asia Afrika Street no. 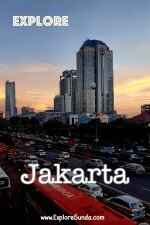 65, Bandung. 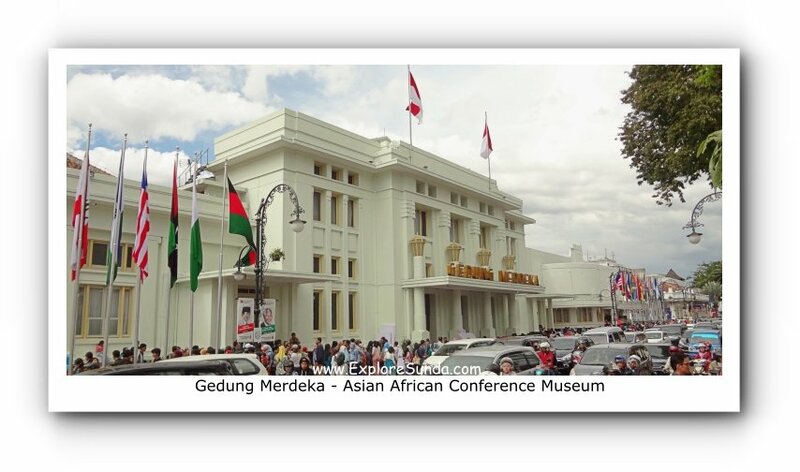 The first Asian African Conference was held in Bandung, in a building called Gedung Merdeka (Freedom Hall). 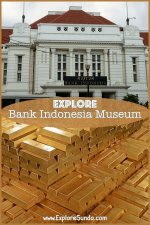 This historical building becomes Asian African Museum on April 24, 1980, during the 25th anniversary of Bandung Conference. Thus, the displays of the museum are mostly related to the conference, such as photos related to the conference, country profiles of the member of Bandung Conference, and diorama on the opening of the first Asian African Conference. 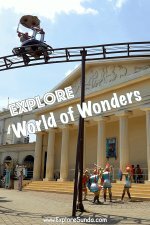 This museum is under Foreign Ministry, so it has an audio visual room and a supporting library where we can learn about the history, social, politics and cultures of Asian and African countries, as well as documents on the Asian African Conference. Considering the history, every time there is an Asian African Conference commemoration, it was always held there. Even if some of the events were held in Jakarta, the closing ceremony would always be held in Bandung. The first Asian African Conference started with The Bandung Walks done by the conference members. 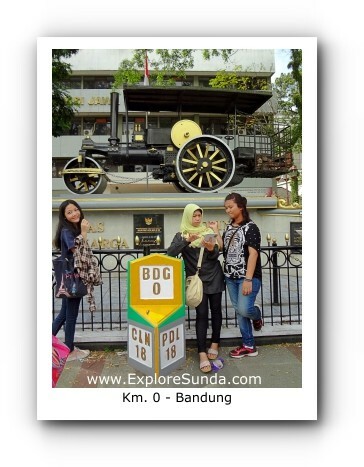 It was a short walk from Savoy Homann Hotel to Gedung Merdeka. Then the ceremony proceeds to opening speech by President of Indonesia. Mr. Soekarno, the first President of Indonesia, delivered the opening speech in 1955. The title was "Let a New Asia And a New Africa be Born”. 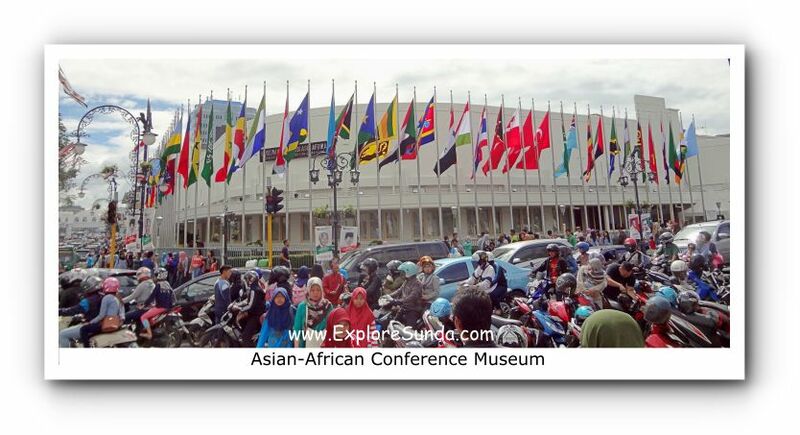 During the 50th and 60th anniversary of Asian African Conference, the opening ceremonies and the meetings were held in Jakarta. However, Gedung Merdeka in Bandung was still used for the closing ceremonies and signing of declarations as the result of the conference. 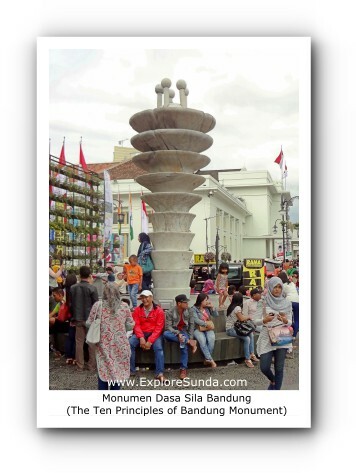 Therefore, the Bandung Walks or now popular as Historical Walk was conducted prior to closing ceremony instead of the opening one. We just celebrated the 60th commemoration of Bandung Conference on April 24, 2015. We might have to wait another 10 years for big celebration like this one. 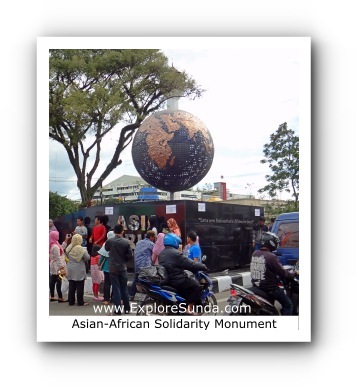 But one thing for sure Jalan Asia Afrika Bandung looks more beautiful with the conference’s decoration, such as the globe shape of the Asian-African Solidarity Monument, the Ten Principles of Bandung Monument, and the stone spheres on the sidewalk. Every stone sphere is sculpted with the names of the member and small flags on top of it. Nowadays many people love to stroll along this street until they reach the city square and take pictures before sunset. The Asian African Museum has outdone itself by having indoor and outdoor displays!